Is Medical Marijuana Helping To Fight Against The Opioid Epidemic? Across the United States, the public opinion increasingly favors in support of legalization at “53 percent” according to the CBS News Poll conducted on April 2015. There is a common misconception that using marijuana will lead to harder drugs, such as cocaine and heroin. However, the opioid crisis continues to make headline news, and more people are becoming addicted to legal prescription drugs for pain treatment. As viewers tune into A&E’s hit show, Intervention, there is no escape into understanding the reality of how opioid and heroin addiction is at an epidemic level. Medical marijuana is the answer to fixing the broken opioid crisis and giving hope and pain relief to the lives of many people and the families affected by opioid and heroin addiction. Doctors continue to prescribe painkillers with a combination of other medications for treating severe pain from surgeries, cancer treatments, to injuries. The following opiates are frequently used to relieve pain: OxyContin, Methadone, Vicodin, Morphine, Tramadol, Percocet, etc. Opioids give patients pain relief after major surgery, serious injuries, and even cancer treatment. There is always a consequence of taking too many pain pills; your body can quickly develop a dependence on using these dangerous drugs. This is how addiction starts. At first with simple pain relief, then the user becomes so used to the euphoric sensation of opioids they simply crave more. Opioid addiction disrupts and devastates the lives of families, because of its exceedingly addictive components for pain relief and escape from reality. These prescribed medications are easily abused, opiate users need to keep taking more pills each time for pain relief as their tolerance to them builds. Data reveals that “the number of prescriptions for opiates (like hydrocodone and oxycodone products) have escalated from around 76 million in 1991 to nearly 207 million in 2013, with the United States their biggest consumer globally, accounting for almost 100 percent of the world total for hydrocodone (e.g., Vicodin) and 81 percent for oxycodone (e.g., Percocet).” Opiate abuse and overdose continues to escalate at an alarming rate across the United States. Moreover, there is the danger that once an opioid addict runs out of prescription pills, this may lead the user to turn to heroin. “Substituting cannabis for one or more of alcohol, illicit drugs or prescription drugs was reported by 87% (n = 410) of respondents, with 80.3% reporting substitution for prescription drugs, 51.7% for alcohol, and 32.6% for illicit substances. Respondents who reported substituting cannabis for prescription drugs were more likely to report difficulty affording sufficient quantities of cannabis, and patients under 40 years of age were more likely to substitute cannabis for all three classes of substance than older patients”. As stated above, alcohol and prescription drug use decreased in medically legalized states. No one has ever overdosed and died from using cannabis. According to the Colorado Chapter of the American College of Emergency Physicians, the 2017 Opioid Prescribing & Treatment Guidelines indicate “from 1999 to 2010, states with medical cannabis laws had a 24.8% lower mean annual opioid overdose mortality rate compared with states without medical cannabis laws.” The concrete correlation is present with data and statistics that supports state laws with access to medical marijuana means opioid use decreased in the state’s population. When people have the access to purchase medical marijuana in a dispensary in a legal state, we are beginning to witness medical marijuana as a viable option to mitigate the opioid crisis as pain treatment and management centers are shutting their doors in many medical marijuana states. As a result, doctors and lawmakers cannot escape the underlying truth: cannabis is not an addictive substance compared to opioids. Marijuana is not physically addictive; which is why doctors should be more open to prescribing medical marijuana as an alternative treatment for pain. We need to conduct more research to understand the positive outcomes of how cannabis relieves patients suffering from chronic pain. Unfortunately, scientific studies on the effects of medical marijuana as an alternative treatment are limited due to the DEA’s Schedule 1 status. US Lawmakers need to acknowledge and adapt to the changing political opinions of marijuana use as standard of acceptable use under responsible consumption for recreational and medical use. Nobody should be denied access to medical cannabis. We have witnessed first hand how the plant has changed the lives of thousands of patients…With the opioid epidemic that has plagued this country, the people deserve a safe and effective alternative to pain management. They can certainly find that healing in medical marijuana. 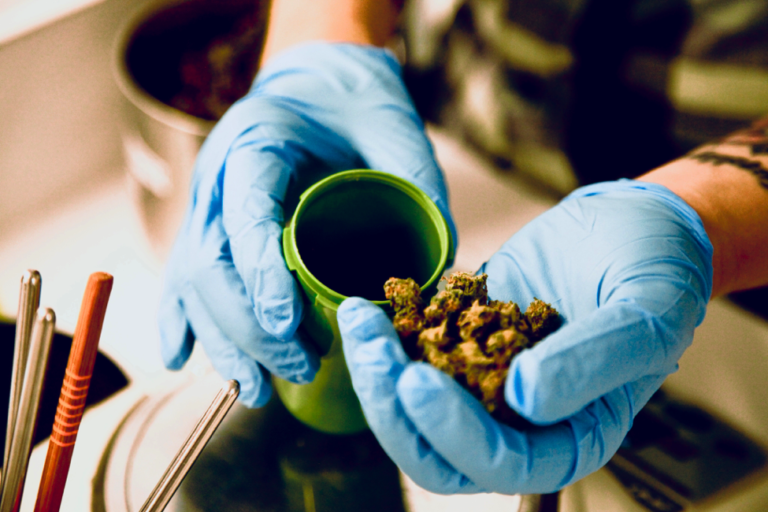 As the “Yes” votes roll in for many marijuana referendums, the necessity to enforce a broader discussion for medical marijuana legalization as a policy measure to decrease the opioid crisis in the United States becomes more apparent. In the end, cannabis should be no longer demonized and used to ruin the lives of millions otherwise law abiding citizens.